CFD Engineering provides training services for engineers and technical professionals. Our specialized courses are tailored to the needs of industry professionals and combine academic rigor with applications to real-world situations. We provide educational opportunities concerning tools at the cutting-edge of technology, and we offer them in several different ways. Our tutors gained experience in these fields both in the academic and industrial environments, having the opportunity of joining theoretical fundamentals to the pragmatism of business world. This ensures the professional quality of all the trainings we provide. Our “C++ Training Course” aims to give developers a solid foundation in the language, syntax and best practices of developing and compiling C++ code from the ground up. We provide a course for introducing the student to the main common problems in the object-oriented programming and for learning him about the right approach in using this expanding tool. The course is made up by a succession of theoretical information and practical sessions where the student can strengthen its knowledge. We do not only offer a standard course, but we always take into account your existing technical skills, deployment platform, project requirements, timeframes and specific topics of interest to tailor the most relevant and focused course for you. We offer two standard training courses concerning OpenFOAM® CFD toolkit. “OpenFOAM Developer” training course is suitable for participants of basic training and also for those who already have a solid OpenFOAM® user experience and want to use it as a developing platform for their specific projects. 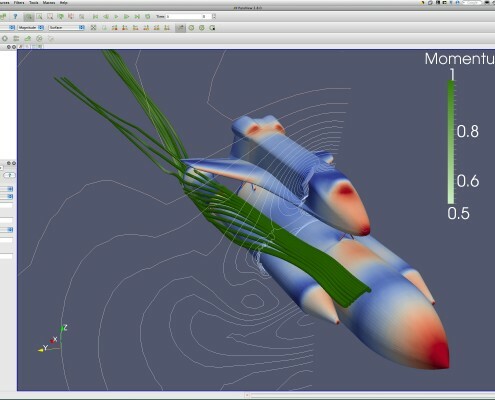 Furthermore CFD Engineering prepares special training courses customized on the exact ideas and projects that users need to be solved with help of OpenFOAM®.